An image from surveillance video released by Boston police showed Victor Pena. That fact of modern urban life was highlighted by the case of Olivia Ambrose, the 23-year-old woman who was allegedly abducted after leaving a downtown bar Saturday night. 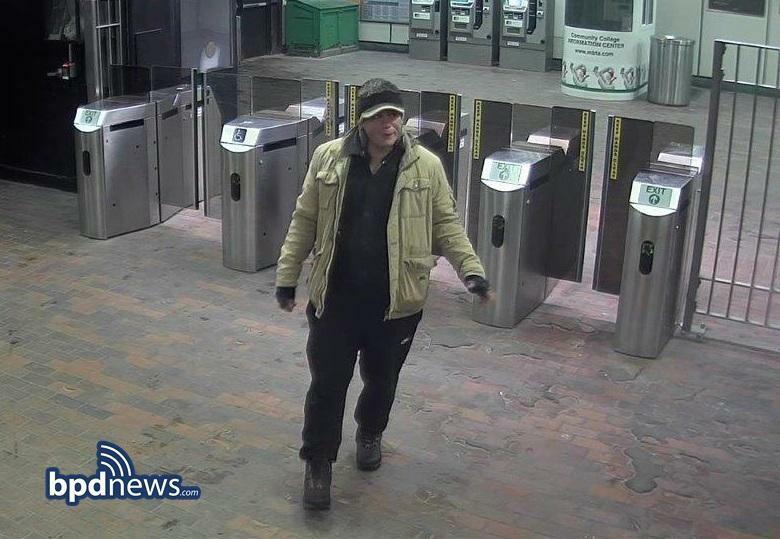 Using video images, police say they were able to see Ambrose leave Faneuil Hall, walk up Congress Street with her alleged kidnapper’s arm around her, head into the State Street T Station, exit at Community College Station, and walk toward the suspect’s apartment in Charlestown. It was that footage, along with a signal from Ambrose’s iPhone, that police say helped them find the young woman alive in the man’s home Tuesday afternoon. After Ambrose was reported missing, police tracked her movements by using camera footage in Boston and Charlestown and location data on her iPhone. But the success in finding Ambrose also underscored how such a vast and powerful surveillance network can threaten people’s privacy, particularly when there is no independent oversight. The MBTA said Wednesday that it owns “thousands” of cameras like the one that captured clear images of the alleged kidnapper, Victor Pena, guiding Ambrose up a set of subway stairs. The Massachusetts Department of Transportation said it owns another 500 traffic cameras and 140 security cameras on buildings and infrastructure in Boston. The Boston Transportation Department owns 285 traffic cameras in the city and can tap into another 450 owned by the Boston police. Many are part of a federally funded network, called the Critical Infrastructure Monitoring System, that was designed and built in 2006, based on a framework launched in 2004, when Boston hosted the Democratic National Convention, Crockford said. The system, she said, connects Boston police to police in eight surrounding communities, including Somerville, Cambridge, and Brookline. Officers at the Boston Regional Intelligence Center, she said, can use the system to access cameras across the region. It was that extensive network, she said, that helped investigators track Ambrose from Hennessy’s bar to Pena’s apartment in the Bunker Hill housing development. She said the secrecy surrounding the program means the police don’t have to publicly report who uses the cameras, under what circumstances, how long the footage is stored, and whether there is any internal review of the video monitoring. Oakland, Calif., she said, has a privacy commission to oversee its police surveillance system. Davis said that when he led the department from 2006 to 2013, the large majority of cameras on city streets were operated by the Boston Transportation Department. 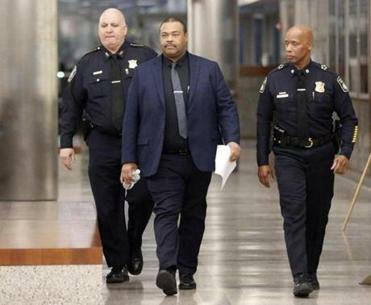 Boston police have some of their own, he said, but typically use cameras from other city agencies, as well as private businesses, when investigating crimes. Davis was commissioner in 2013 when video footage released by the FBI helped authorities identify Tamerlan and Dzhokhar Tsarnaev after they planted bombs at the Boston Marathon. Researchers said while cameras can be helpful in cracking such cases, evidence is mixed about whether they help deter crime. A 2010 report by M. Angela Sasse, a security researcher, concluded that closed-circuit television cameras in the United Kingdom, where they are ubiquitous, were “largely ineffective” in preventing crime. A 2011 Urban Institute study of Baltimore, Chicago, and Washington, D.C., found crime fell in some areas with surveillance cameras while remaining unchanged in others. “The idea of wiring up a city and placing cameras on every corner in the hope you’re going to proactively respond to crime, you’re not going to see that be effective on a wide scale,” said Jennifer King, director of privacy at the Stanford Center for Internet and Society. Susan Landau, a professor of cybersecurity and policy at the Fletcher School at Tufts University, agreed the Ambrose case showed the power of cameras to help solve crimes. “The flip side is the sense that you’re always being watched, and the fact that the cameras are being used to home in on vulnerable populations such as minorities and young women,” she said. Hoping to protect its residents from such intrusion, Cambridge adopted an ordinance in December that requires City Council approval of new surveillance technology such as license plate readers or social media monitoring software. The law also requires Cambridge police and other city agencies to report on how they use the technology while protecting privacy. Lawrence adopted a similar measure last September. Brenda Bond, a Suffolk University professor who studies public safety policies, said cameras are a “double-edged sword” that raise complicated questions about transparency, privacy, and costs.